Ever wonder what goes on in the classroom? 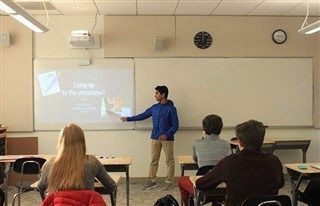 Whether it is learning about kinetic friction in AP Physics, finding your voice in public speaking, or following in the footsteps (literally) of your favorite poet, KO has a wide range of classes that both challenge and inspire students. Kingswood Oxford courses are designed to deepen and strengthen a student's engagement with the material. 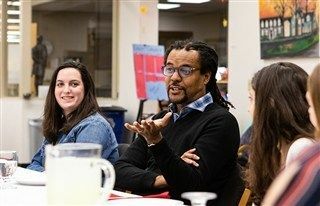 Teachers actively bring the content to life - pressing students to articulate what they have done and why and challenging them to be intentional in their work. Essential to the student-centered classroom is the connection between the student and teacher which fosters a dynamic learning environment. 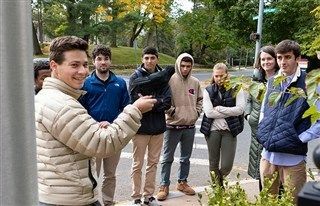 Enter a class full of motivated students and teachers who are passionate about their subject matter. 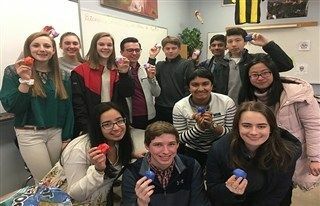 “Students get a sense of ownership over their own learning when you give them the power to choose,” said Upper School Latin teacher Maureen Lamb. 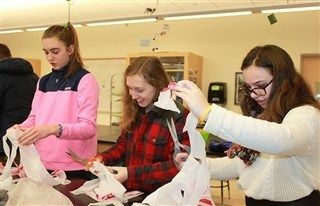 Riffing on Genius Hour, an innovative pedagogical practice that drives engagement, Lamb charged her Form 4 students to research their own topic about ancient Rome. 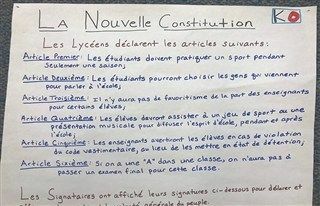 Challenging our students to become more autonomous in the classroom, Dr. Jonhthan Briggs tasked the students his AP French Language and Culture to create their own constitution after reading the original French excerpts of Jean-Jacques Rousseau’s earth-quaking work of 1762, The Social Contract. 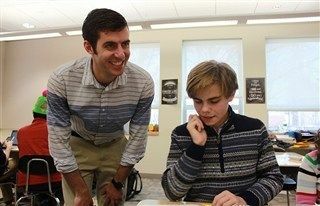 Director of Theater Kyle Reynolds, who also teaches the Upper School public speaking class, was so inspired by the recent professional development workshops on building equity and inclusion in the classroom that he wasted no time implementing the strategies in his classroom by assigning each student to present a six-minute speech on microaggressions. On any given Friday afternoon the students of Spanish 5: AP Language are greeted by Upper School Modern Language Department Chair and seasoned Spanish teacher, Lynn Schork. Teaching is not for the faint of heart, but imagine teaching in a foreign language. 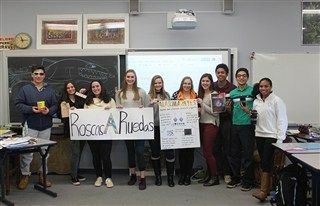 That was the assignment Upper School Spanish teacher Brenda Semmelrock tasked her Spanish three honors students. Starting from his opening line at the the assembly on Friday, December 7, “I usually spend Friday mornings in my apartment weeping over my regrets so this is a nice change of pace for me anyway,” Colson Whitehead, the Pulitzer Prize winner for his immensely important work The Underground Railroad and Kingswood Oxford’s 36th Warren Baird Symposium writer, had the audience. 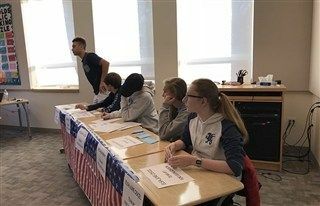 On Tuesday, December 11, students from Director of Theater Kyle Reynolds's public speaking class gathered first thing in the morning, ready to debate. 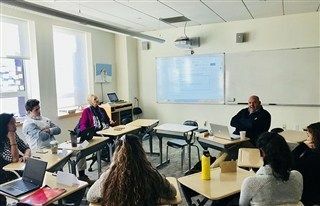 Dillow holds his love for teaching close, and therefore, he didn’t pass up the opportunity to take off his head of school hat and put on his sociology hat. 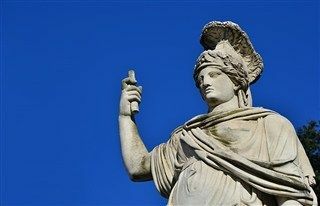 Be prepared to test your wits when you enter the Form 3 Empires and Republics class with David Baker. 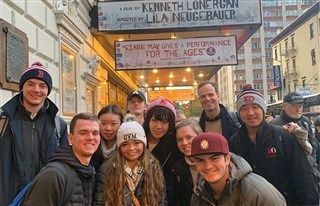 As a former longtime New York City resident, Upper School English teacher, Bill Martino wanted to share his love for the city that never sleeps and so he created a senior elective that conveys the heartbeat and the heartache of one of the most vibrant places on the planet. 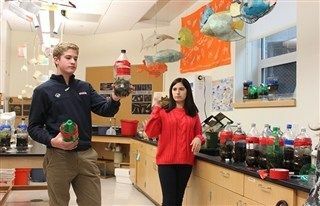 AP Physics Class: So Much Potential (Energy)! 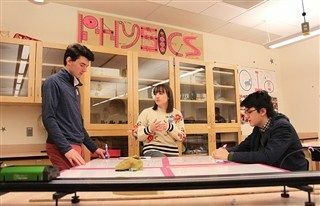 Our AP Physics C: Mechanics students performed a self-directed lab to determine the coefficient of kinetic friction (μk) between a cart and a ramp in a modified Atwood machine. Asylum Road in Hartford is not as likely a source of inspiration as say, Lord Byron’s Italy or Greece, but for longtime Hartford resident the Pulitzer Prize-winning poet and insurance executive, Wallace Stevens, the street and its surroundings moved him to write “Thirteen Ways of Looking at a Blackbird”. 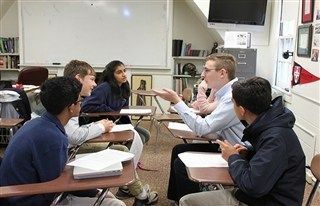 Designed to increase students’ confidence and sophistication as readers, writers, thinkers, and speakers, English 4 focuses of texts whose characters or structure challenge convention and ask students to challenge their notions about what a literary analysis, a sentence, or a topic of academic discussion should be. Last year 13,770 pounds of KO’s dining hall food scraps were diverted for composting.